During the winter months we get less sunlight. Therefore we get less vitamin D. Therefore it is logical to supplement with vitamin D. I have already post a number of articles on supplements and vitamin D. Well another study has come out, yet again showing the benefits of supplementing with vitamin D over winter. 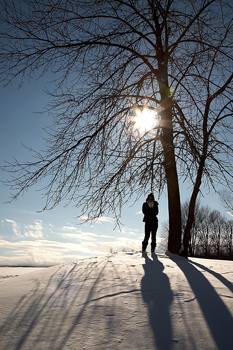 This study looked at supplementing healthy adults with vitamin D over the winter period. These adults lived in the northern hemisphere at higher latitudes where winter sunlight isn't as strong as NZ sunlight. The supplement level of 200 IU and 400 IU was not high enough to maintain summer vitamin D levels. However 600 IU (15 micro g) maintained the summer levels of vitamin D.
As I have previously mentioned adults need 400IU to give an increase in vitamin D blood levels and that some researchers now recommend women take 400IU per day as a supplement. So the result of 600 IU is higher than these studies, as the sunlight received by the people at higher latitudes would be less. So once again we have a study that shows supplementation is an important part of staying in optimal health.